The Brighter Side YYC: Always on the go! Mel Risdon is another one of those people who has GREAT IDEAS. And better yet, she follows through on those ideas! Mel’s day starts with her alarm going off at the wee hours of the morning, to not only start her day, but yours too at Shine FM with Mike and Mel in the morning. After she enlightens us with our morning wake up, she heads home to be with her daughter, soon followed by her son coming home from school. In the meantime she’s an inventor of two AMAZING products. The first is the Head Snuggler. A brilliant invention that is designed to properly support your child's head and neck while they’re in their car seats and strollers. We’ve all seen children fall asleep with their heads dropping to their chests. 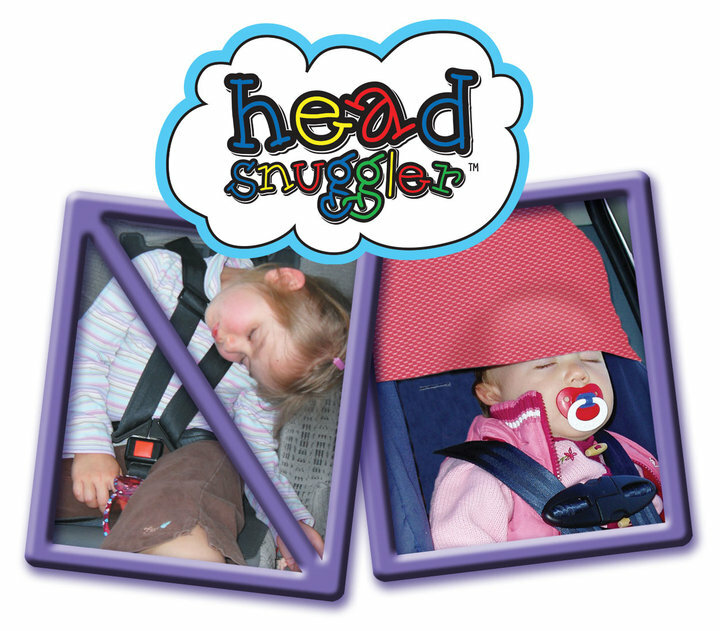 The Head Snuggler supports their heads so they wake up well rested, and in no pain. Believe it or not, it’ll work for you too! One size fits all! My 4 year old loves it. If he's tired while we're on a long trip he'll just pull it down himself and settle in for a short car nap. Next, Mel found the need for the Magic Bib. It’s brilliant. A bib that actually catches the food your little one misses. There’s lots of pocket bibs out there, but this one actually catches it. How? There’s a magnet that goes on one side of the bib and the other to the high chair tray, which then pulls the bib out. It moves easily with your child, and keeps it neat and tidy for you to clean up! Magic indeed! Having tried it on my own “muck”, I can honestly say this really is a magic bib. Now all Mel needs to do is come up the magic of my child actually wanting to eat healthy food! She tells me she’s working on it. Mel didn’t stop there with her inventions with Melrose Kids Inc., she also saw a need to help reduce the waste of old car seats. She teamed up with Keepin’ Baby Safe and launched Alberta’s first recycling program for used and expired car seats. They accept all used and expired seats at various drop-off locations, Round-Up Clinics and Inspection Clinics around Calgary. 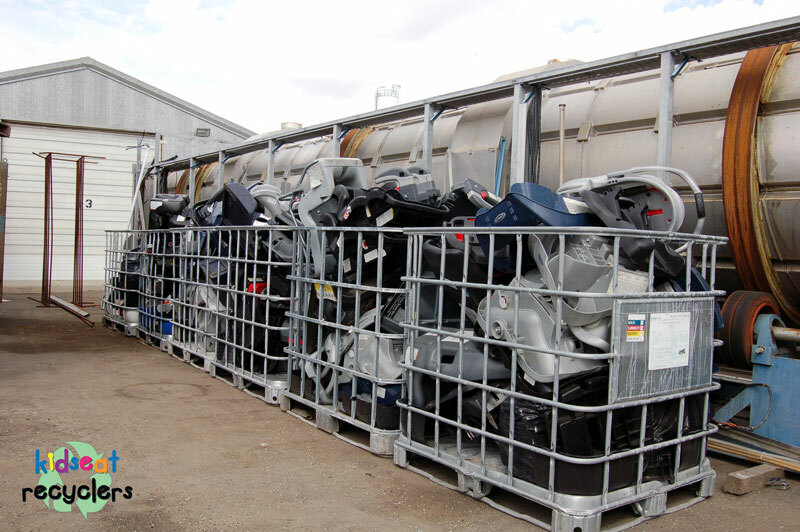 Kidseat Recyclers is the first recycling program of its kind in Alberta focused specifically on keeping the thousands upon thousands of car seats that are thrown away every year out of the landfills. They will ensure that every part of the seat that is recyclable, including metal, plastic and any usable parts, will be properly recycled or reused. 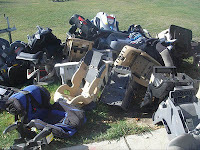 To find a recycling depot near you go to Kidseat Recyclers.